With tears in her eyes, Gülay recounts the moment she encountered Jesus in a hospital room. Seven months pregnant and facing the possibility of lifelong disability, she was at rock bottom. This moment was not the first time that Gülay and her husband, Sedat, had faced adversity. Not coming from a Christian background, they grew up without a clear and strong faith in anything. So, when they struggled financially and life became overwhelming, they couldn’t see a way out. “When we realised what was missing in our lives, we started searching,” says Sedat. The couple wondered if the teachings of Christ might hold the meaning they were looking for. At first, it was difficult to find a church. But when they visited one congregation in their home city of Antalya, they received a loving welcome. The church continued to show them God’s love, supporting them when Gülay developed debilitating back problems. Any remaining doubts the couple had were eroded, and while at a church picnic, Gülay gave her heart to Christ. Soon afterwards, and while heavily pregnant, Gülay was hospitalised. Told that she faced permanent paralysis and should undergo an operation, Gülay was terrified and planned to discharge herself. When Gülay woke up after the operation, she was able to walk down four flights of stairs. The doctor told her it was the most successful procedure he had ever carried out. Gülay knows that it was the Lord that guided the doctor’s hands that day. 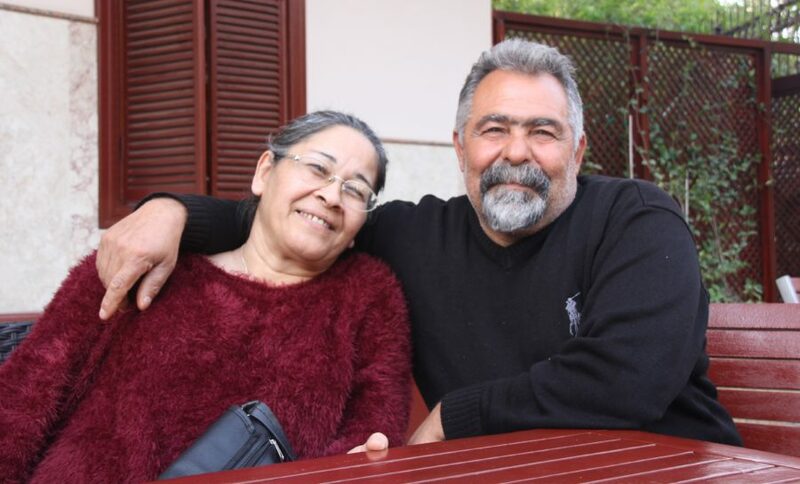 Like many other believers in Turkey, Sedat and Gülay struggled to find Christian resources to help them grow in and share their faith. This, they say, is where SAT-7 TÜRK makes a big difference. “We really, really love SAT-7, and we watch it a lot,” says Gülay. “Just this morning I was almost late for work because I had to finish a programme! Thank God for Sedat and Gülay’s story and the way He has transformed their lives. In a recent online survey of SAT-7’s Turkish channel, 1 in 3 respondents said they grew in their understanding of the Christian faith after watching. Thank God for the impact this channel is having. Thank God that Sedat and Gülay found a welcoming church in Antalya. Pray that all Turkish churches would offer a warm welcome to visitors. “Do not fear, for I am with you; do not be dismayed, for I am your God” (Isaiah 41:10). God appeared miraculously to Sedat and Gülay in their times of need. Thank Him that He is always with us, whatever we are facing.